Learn how the Glycaemic-Index affects your health. The Glycaemic-Index (GI) is a ranking of foods (or specifically the carbohydrate in a food) on a scale from 0 to 100 according to the extent to which they raise blood sugar (glucose) levels after being eaten. Foods with a high glycaemic-index are those which are rapidly digested and absorbed and result in marked fluctuations in blood sugar levels. Low GI foods, on the other hand, by virtue of their slow digestion and absorption, produce gradual rises in blood sugar and insulin levels, and have proven benefits for health. The GI values must be measured using valid scientific methods. It is not possible to guess the glycaemic-index value by looking at the composition of the food. Currently, only a few nutrition research groups around the world provide a legitimate testing service. Professor Jennie Brand-Miller at the Human Nutrition Unit, Sydney University has been at the forefront of glycaemic index research for over a decade, and her research group has determined the GI values of more than 400 foods. Foods with a GI of under 55 are considered to be LOW Glycaemic, between 55 and 70 is MODERATE and over 71 is considered to be HIGH glycaemic. I have listed some of the more common foods to help you in your quest to manage your weight but for much more detailed information go to the Sydney University site. You will find lots of helpful information and can even search their database to find the index of a particular food. Read through the FAQ's to find answers to lots of the queries you may have. This table shows some of the foods that belong in the mid-range of the Glycaemic Index (55 - 70). Remember, this is just a guide. Here are a few High GI foods that you maybe need to be aware of. You may be interested to read the following transcript of a radio interview with Professor Jennie Brand-Miller on the subject of Glycaemic Indexing, back in November 2002. It may answer some questions for you. Norman Swan: Let’s stay with double-checking on lifestyle advice and move to nutrition. You can’t have failed to notice the books on the diet shelves about the glycaemic-index; that’s a measure of how fast a carbohydrate gets into your blood as sugar, glucose. The higher the index, the less healthy the carb. A few weeks ago on the program we had a critic of the glycaemic index who claimed it had anomalies and didn’t properly take into account the impact of the total amount of carbohydrate in a food. But according to Jennie Brand-Miller, who’s Professor of Human Nutrition at the University of Sydney, and who’s spent much of her career investigating the GI, the criticisms, if they’re valid at all, only apply to a small number of foods and shouldn’t undermine the overall message for consumers. Jennie Brand-Miller: For most people, most of the time, the glycaemic index is what they need to look at to compare foods with each other, especially if they’re comparing one bread with another bread, or one breakfast cereal with another breakfast cereal. Norman Swan: Where are the anomalies, if any? Jennie Brand-Miller: The anomalies are actually very few and far between. The usual example is watermelon, and there’s actually probably less than half a dozen foods in the same category. Norman Swan: What’s the distortion with watermelon? Jennie Brand-Miller: The distortion is that it has a high glycaemic index, but mind you, it’s been measured once and I’d like to see that done several times, before I’m convinced it really is that high. But say it really is high, watermelon has relatively little carbohydrate, which means that its total glycaemic effect, even though it’s got a high GI, is probably relatively low. If you bring in all these other discrepancies, which are really few and far between, you make it far more complicated for the average person, and what I’m saying is that’s not needed. Norman Swan: Just to summarise then, what you’re saying is really the usefulness is in the carbohydrate that you’re going to eat is comparing whole food with whole food. Jennie Brand-Miller: Precisely. We’re asking people to make substitutions within the same food category. 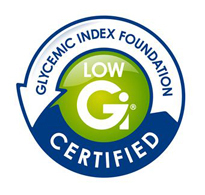 One low GI bread with a high GI bread; the low GI bread and the high GI bread will contain about the same amount of carbohydrate so it’s really the glycaemic index of the two that matters. Norman Swan: Some research from particularly Boston, the Nurses’ health study, has suggested that this obsession with moving off fat onto carbohydrate might actually be risking an increased rate of diabetes. Is the total amount of carbohydrate really the issue here rather than the glycaemic index? Jennie Brand-Miller: Good question. If you look at those studies that come from Boston, there is absolutely no relationship between risk of disease and the amount of carbohydrate. It’s actually a relationship with glycaemic index, as the glycaemic index goes up, so does the risk of the disease. And that relationship is strengthened if you bring in the glycaemic load, and the glycaemic load is the glycaemic index times the carbohydrate per serve. Norman Swan: So it’s the amount of carbohydrate you’re eating times the speed at which it gets into your bloodstream. Jennie Brand-Miller: Yes, exactly, So the more carbohydrate you eat, and the higher the glycaemic index, the more important it becomes. Norman Swan: So it’s the type of carbohydrate you’re eating, as you’re maintaining. Norman Swan: And what would be the typical diet of someone like that who might be mistakenly thinking they’re on a healthy diet, but in your view aren’t, because they’re loading up with high glycaemic index foods? Jennie Brand-Miller: Say they started with breakfast, and it contained lots of normal wholemeal toast. They think it’s high fibre, it’s wholemeal, must be good for you. They might be having a breakfast cereal, for example rice bubbles or wheat flakes of some sort. Even though they might be high in fibre, they’ve still got a high glycaemic index. And they might be thinking that as long as it’s fat-free, it’s 97%, 98%, 99% fat free, must be good for you. So lots of rice crackers, lots of rice, lots of white bread, everything that we’ve come to think of, just as long as it’s low fat, might be actually very high GI. And I think in the food industry, efforts to produce fat-free foods have actually resulted in high glycaemic index foods, and we’re probably eating much, much more of those sorts of foods than we did 20 years ago. Norman Swan: And that might be translating into diabetes in the future? Jennie Brand-Miller: That’s right. That’s what the data from around the world is saying. It’s a dramatic increase in type 2 diabetes, a dramatic increase in obesity since we’ve been recommending high carbohydrate, low fat foods, without some sort of qualification. Norman Swan: So let’s go back to this person with the wholemeal toast, the cornflakes and the rice bubbles, and the rice for evening meal. So give me the low GI diet for the day. Jennie Brand-Miller: Well they have to know that certain brands of bread are low GI, and aim for those. They won’t know by looking at the ingredients, they won’t know by looking at the processing method. They’re actually relying on the food manufacturer or certain lists of glycaemic index such as our books and our website. Some manufacturers are now putting the glycaemic index on the food label, but they’re in the minority. Breads on the whole that have been produced by more old-fashioned methods, say 50 years ago, 100 years ago, the fermentation methods were much longer, and they were more likely to involve sourdough fermentations, and we know both of those factors reduce the glycaemic index of the bread. Norman Swan: So sourdough bread has a lower glycaemic index? Jennie Brand-Miller: Lower than normal white bread. Norman Swan: It’s a tough ask to actually work out what is lower glycaemic index, it’s not readily apparent. Just because there’s lots of grain in the bread might not mean it’s low glycaemic index. Jennie Brand-Miller: That’s right. The closer the food is to what nature originally created, the more likely it is to be low GI. In our efforts to make foods more palatable, we’ve actually increased the glycaemic index; at the same time we’ve increased the palatability. The two go hand in hand. Norman Swan: So let’s move on to the rest of breakfast. What cereals should you be waiting for? Jennie Brand-Miller: Things like Guardian, All Bran, porridge and muesli, anything made with raw oats basically has a low GI. Norman Swan: And instead of rice? Jennie Brand-Miller: Well there are low glycaemic rices out there. Most of the traditional varieties of rice that were grown 50 years ago were low glycaemic index. One example is Basmati rice, Australia has produced a rice variety to compete with Basmati. It’s called Doongala. It’s sold under the Clever Rice name, and that has a lower glycaemic index as well. Norman Swan: How do you test for glycaemic index? Jennie Brand-Miller: There’s only one way of doing it, and that’s to actually feed the food to a group of individuals, preferably about 10 individuals. We bring them in and we feed them standard carbohydrate quantity. We measure their blood glucose responses frequently over the next two hours, and we have to bring them back gain, and measure their response to a pure glucose load which gives us a measure of their degree of glucose tolerance. The glycaemic index is actually in each individual a comparison between their response to the food and their response to the reference food. And then we average all 10 individuals and that’s the published glycaemic indexes of foods. Norman Swan: How reliable is that? Jennie Brand-Miller: It’s very reliable if we do it. But if a novice does it, it may be a student and they use venous blood sampling rather than capillary blood sampling, they’ll get a much greater range amongst individuals. Norman Swan: So how reliable are the figures out there for consumers? Jennie Brand-Miller: Some better than others, and the Australian data is much more reliable than some of the other countries. Norman Swan: To what extent has it become accepted internationally? Jennie Brand-Miller: It’s being talked about all over the world and it’s not too soon either, because this is 20 years of research that you’re looking at and unfortunately America has really dragged their feet on the whole matter. The personalities involved have had a big influence. America, of all the countries around the world, is the one who’s still most opposed to it. Most countries in Europe are using it to some extent, not as much as Australia. I think Australia is leading the world, and that’s a credit to our dieticians and their training. Norman Swan: Is there anything else that consumers can look for? Jennie Brand-Miller: Yes. What the University of Sydney has done in partnership with Diabetes Australia is come out with a symbol on foods which flags the foods that have been properly GI tested. So they’re not having to read the label too closely. They can just look for this symbol. The symbol is a little blue circle with a white ‘G’ and yellow dot, and it says ‘glycaemic index’ in the ring around the symbol. We only have maybe four companies on board at the moment, but that’s because it was only launched in July, and we’ve got a lot of interest from the food industry already. Norman Swan: And are you managing to avoid the controversy of the National Heart Foundation’s red tick, because money changes hands to the National Heart Foundation, and there’s just been a question over the reliability of the red tick. Jennie Brand-Miller: The sum involved to take out a licence on a symbol is the same as the Heart Foundation tick. It’s actually very small. The successive products are only .025% of factory sales. And that gets poured back into communication of health messages, in a way that is more likely to be reliable, the consumer is likely to be less confused, and especially with respect to the glycaemic index, the message that goes out there needs to be simplified. We don’t want the food industry running off with a message, making it confusing, making it more complex and really hijacking something. We want to short-circuit any abuse of the glycaemic index. From the GI News you can read an update here from Dr Jennie Brand-Miller and watch this video about the new Glucose Revolution. You'll find more information about the glycaemic-index here. Here are some of the books that Dr Jennie Brand-Miller has written about the Glycaemic Index.